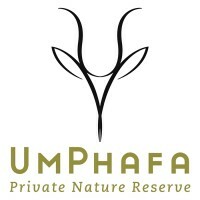 The UmPhafa Private Nature Reserve, situated in KwaZulu Natal, South Africa, is a 6000 hectare reserve comprised of a selection of farms previously managed for cattle and encompasses a wide range of habitats from acacia savannah and bushveld to mountainous terrain. Due to previous agricultural practices much of the natural inhabiting species had been lost. The aim of Action for the Wild is to rehabilitate UmPhafa as an example of the region’s previous natural condition. Although some mammal populations had remained and have thrived since the reserve was established, many more species have been released and UmPhafa is now home to a wide range of fauna including white rhino, giraffe, kudu, impala, common reedbuck, mountain reedbuck, zebra, blesbok, red hartebeest, wildebeest, waterbuck, nyala, warthog, aardvark and porcupine – to name only some. Leopard and spotted hyena have more recently returned to the area naturally and are regularly recorded through camera trapping, tracking, and – on rarer occasions – sightings!! Small to medium sized carnivores such as black-backed jackal, caracal, serval, genet, and several species of mongoose are also common. Action for the Wild is currently offering voluntary work experience placements at UmPhafa Reserve, in particular to those seeking to gain experience before pursuing a career in conservation, although the programme is open to anybody with a genuine love of nature and the environment. This will be so much more than the typical safari experience and as an assistant to UmPhafa’s management, participants will have a fun, interesting, exciting and, overall, valuable time by playing a crucial role in the operation of the reserve by helping to collect vital data necessary to make key management decisions. This in itself is much more fulfilling than simply visiting Africa as a tourist and volunteers will have the satisfaction of being close to the animals and knowing that their contribution is having a direct influence on the wellbeing of the fauna of UmPhafa Reserve. This is an opportunity to gain creditable work experience in the field and learn new skills from qualified staff members over a wide range of aspects involved in the running of a reserve. Days will be varied with duties including behavioural observations on game species which often involves stalking species such as rhino and giraffe through the bush at close quarters!! Participants will also be aiding with the other current research projects such as small mammal trapping; setting up and checking carnivore tracking stations; and camera trapping of elusive nocturnal species providing an exceptional chance to learn crucial survey techniques as well as gaining a greater appreciation of African animals and habitats. Depending on the time of the year there may even be the chance to see animals released onto the reserve and take part in game capture!! Vegetation surveys and assessments comprise an important element and research assistants will learn the importance of particular plant species, their traditional/medicinal uses, and vital nutritional information of the various herbivorous species. Some general maintenance of the reserve’s roads, fences and structures is also often necessary and assistance will be required in the construction of hides and research camps. There are several other reserves nearby including a ‘big 5’ game park which there will be the opportunity to visit as well as the chance to visit schools in order to promote environmental education, and to the local community to experience authentic Zulu culture. As competition is expected to be high for these positions, placements will be offered following a successful interview process which can be held at Colchester Zoo or over the phone if preferred. The minimum age of prospective research assistants is 18 years by the time of deployment to UmPhafa. The minimum period of stay is 4 weeks and placements are available year round. After successful application, scheduled dates of deployment will be allocated based on the applicant’s preferred month of commencement.